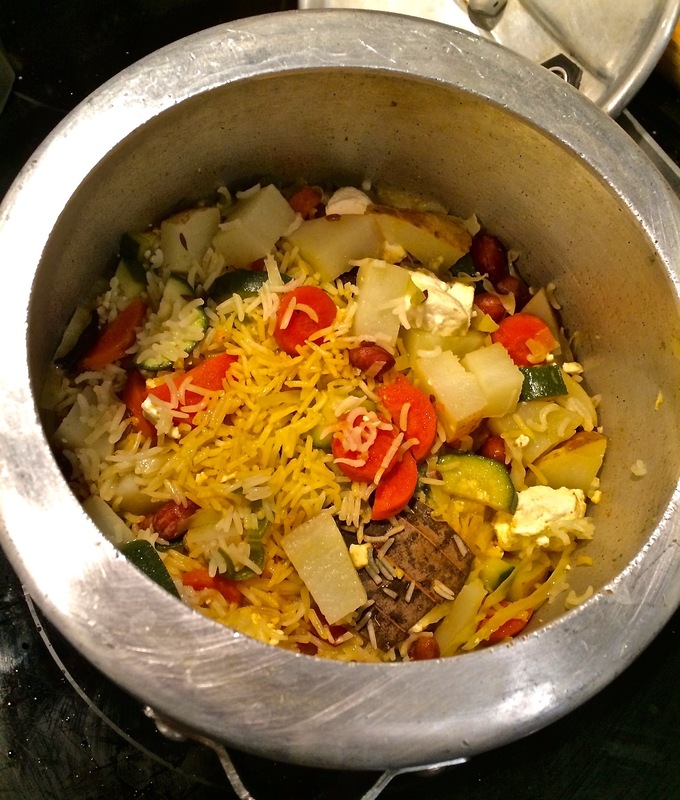 Vegetable Pulav – One Half Indian. This weekend my husband celebrated Rakhi with his sister. 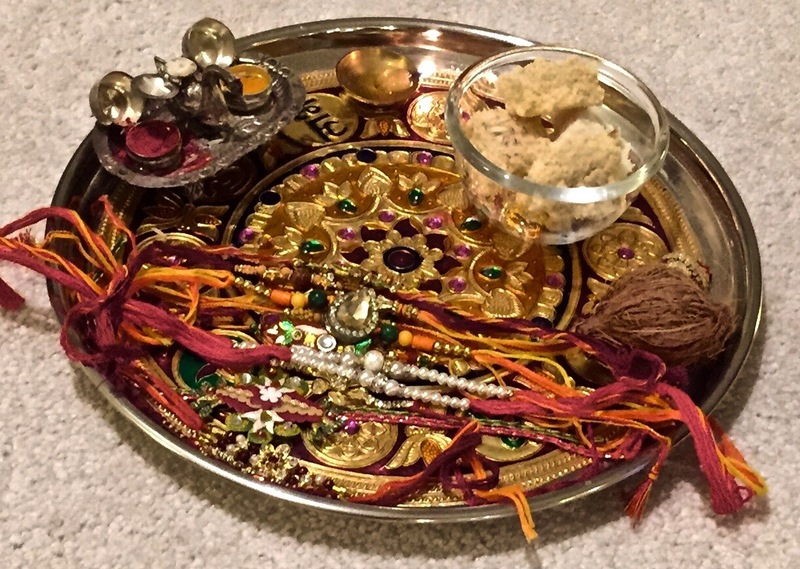 I had never been to a Rakhi celebration before, so it was a new experience. Rakhi is a Hindu festival that celebrates the bond between brothers and sisters. Siblings exchange gifts and sisters tie a bracelet/thread around their brother’s wrist. The knot on the wrist signifies that the sister is always with her brother. It really is a sweet holiday, and I wish we had something like it in America. Maybe I will have to bring Rakhi to my family; my family seldom objects to more gift-giving holidays. Oh, and we love each other and stuff. 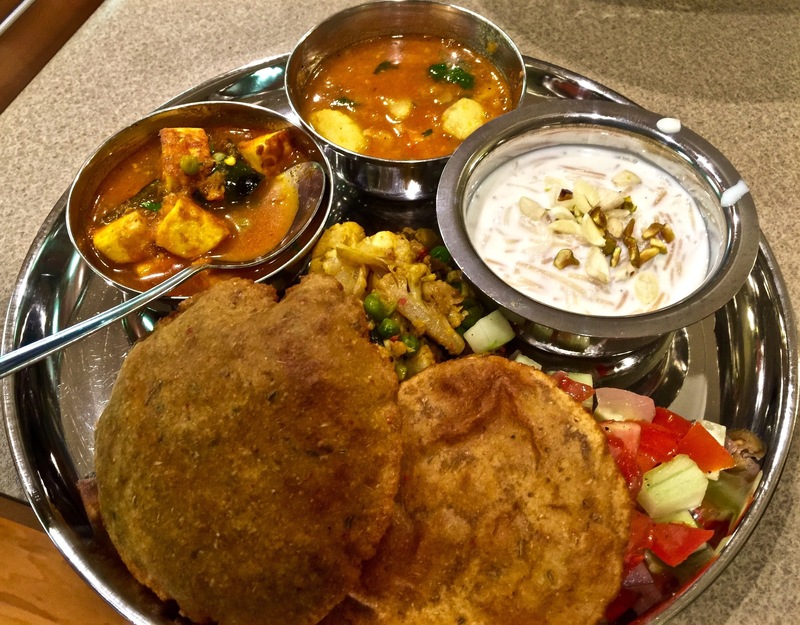 The Rakhi celebration was a feast. My husband and I made matar paneer, my sister-in-law made aloo jhol, aloo gobi, and poori, and my husband’s cousin made kheer. Everything was fabulous, really. My husband and I ate until we were human food bombs. Today, we are taking it easy and trying to eat light after the feasting. We went to the Raleigh Flea Market and explored a new Asian market, Li Ming’s. For dinner, my husband made Pulav, and I finally was able to sit by and watch and get all the measurements. In my opinion, my husband is the god of pulav. Until I met him, I was a strictly-steamed-rice kind of girl. 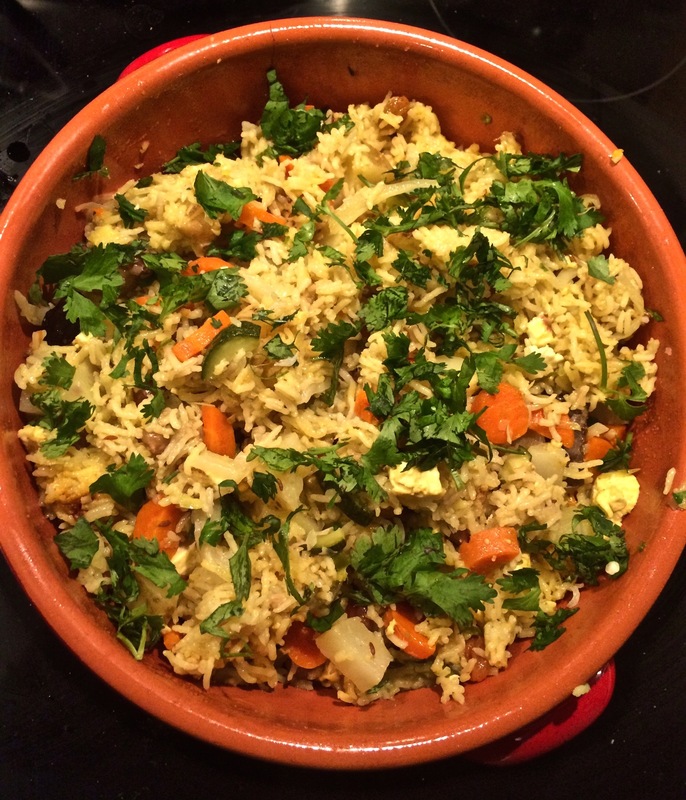 Pulav has the lightness of a boiled or steamed rice yet is rich with spices and vegetables. Since no one has the time to make biryani but we all want that taste, pulav is the way to go. 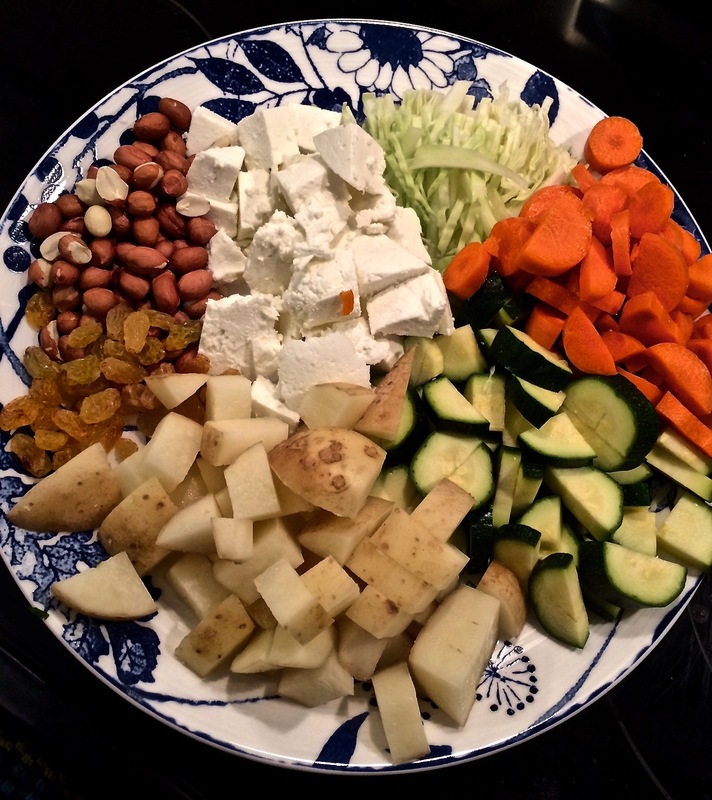 There are tons of variations of this dish, and we generally make it when we just have random vegetables left in the fridge that we need to devour before going bad. So, no two pulav’s are exactly alike around here. In a pressure cooker, heat the oil on medium high heat. Add cumin, cardamom, clove, bay leaf, and cinnamon. Let them pop for a minute. Add the green chili and onion in the pan. Saute for 3-4 minutes. Add rice. Stir all the ingredients together. The rice will start to stick, but don’t stress about that. Add in all vegetables, water, peanuts, raisins, paneer, coriander powder, chili powder, turmeric, and salt. Basically everything else but the cilantro. Stir ingredients so they are mixed around. Close the lid and keep heat at medium high (our stove goes to 10, and we kept it at 7). Let the pressure cooker do its magic. In the next 10-12 minutes, you should get the first whistle. Remove cooker from heat after whistle. Allow cooker to rest and pressure to go down, about 10-15 minutes.